Is there life on Mars? In the Warhammer year 30,000 the answer is yes. Forge World put on this great display board at Warhammer Fest 2014. The Alpha Legion siege a Cult Mechanicas outpost and factory. 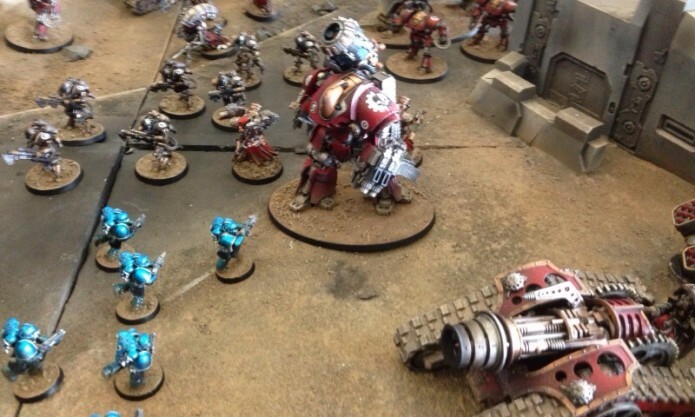 Another great short video from the Forge World area at Warhammer Fest 2014. 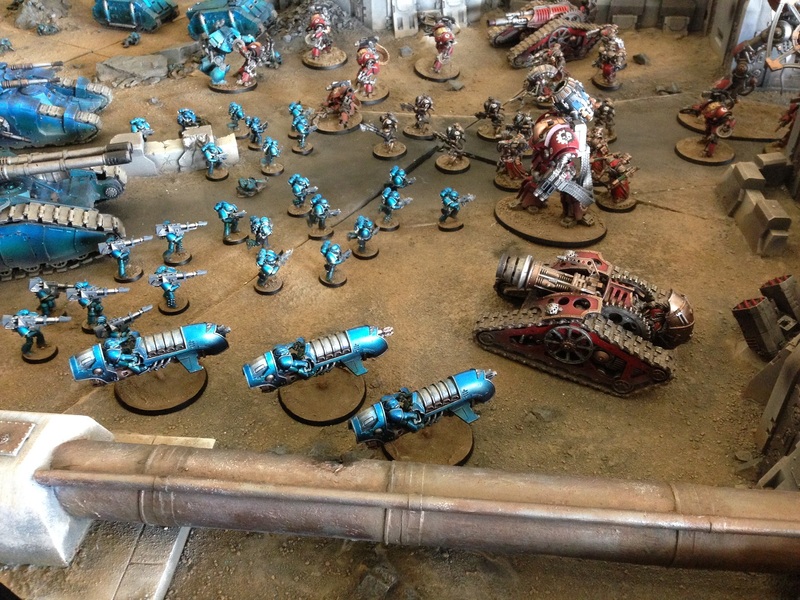 This time it’s the Alpha Legion fighting with the Mechanicum. The Alpha Legion tanks looks toooo good! Hands down the best display of the day. No doubt this was Forge Worlds biggest and best display to date. It’s a shame it won’t fit in the window at Warhammer World.